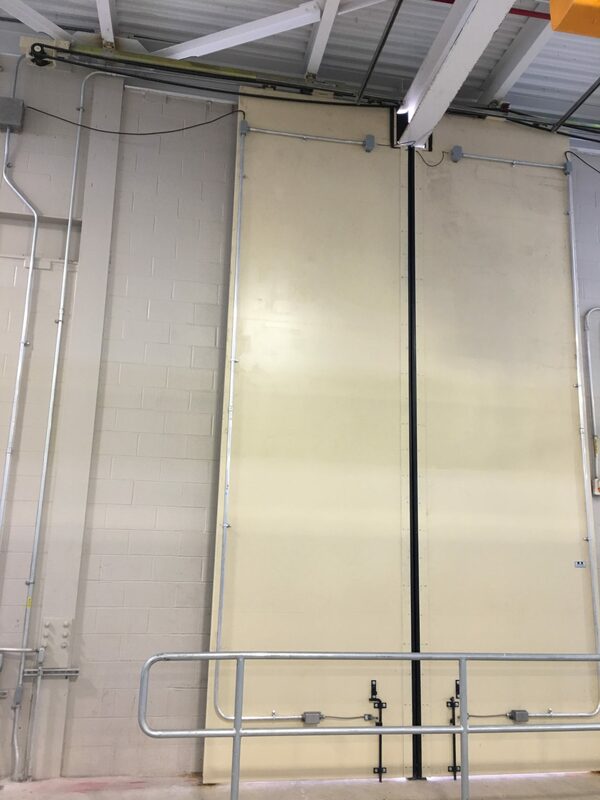 EPD can provide doors with cladding materials that stand up to the corrosive effects of the caustic chemicals and materials associated with these facilities. Vehicular traffic from commercial trucks and private citizens present situations where a door may be hit and damaged. Four fold doors open horizontally (sideways) and operate fast (2 feet per second), reducing the likelihood of damage. In cases when the door does get hit, the heavy structural steel used by EPD in the door’s construction minimizes damage. 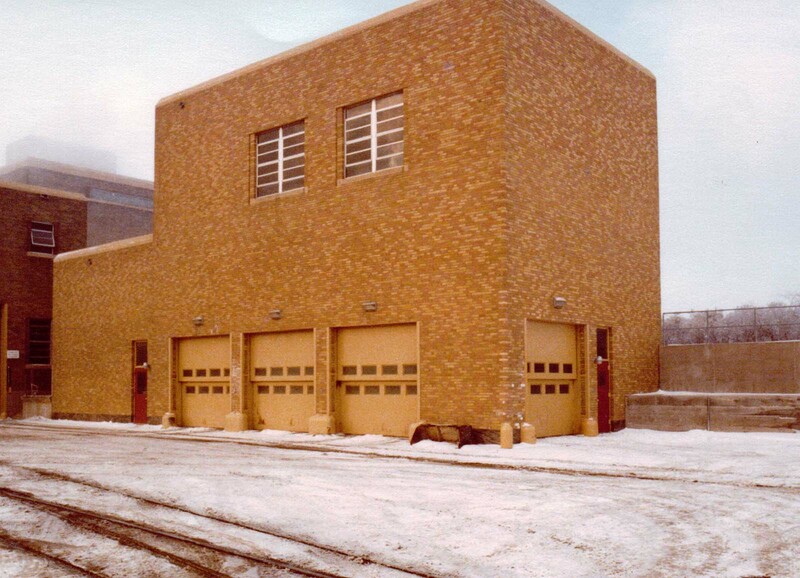 Doors can be insulated for heated environments and for use in severe weather conditions. Vertical lift doors are available from EPD for larger openings. 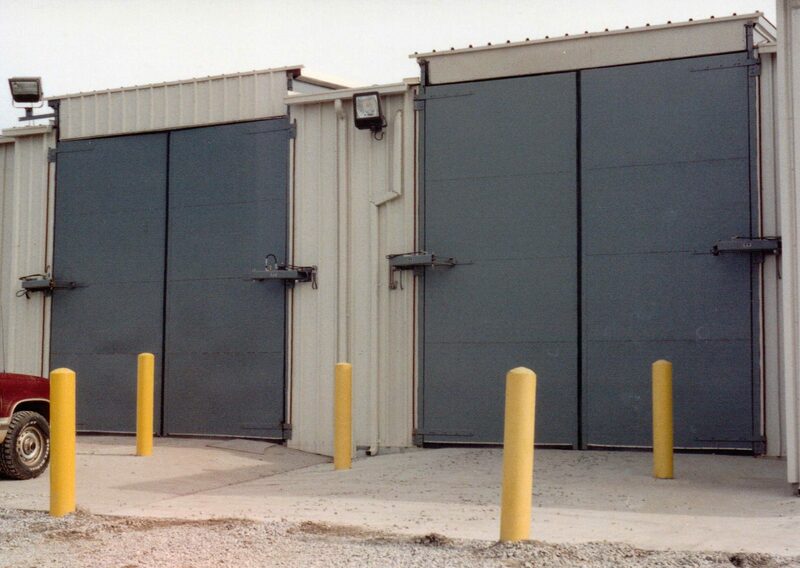 EPD can provide custom blast, shielding and security doors that comply with specified criteria. 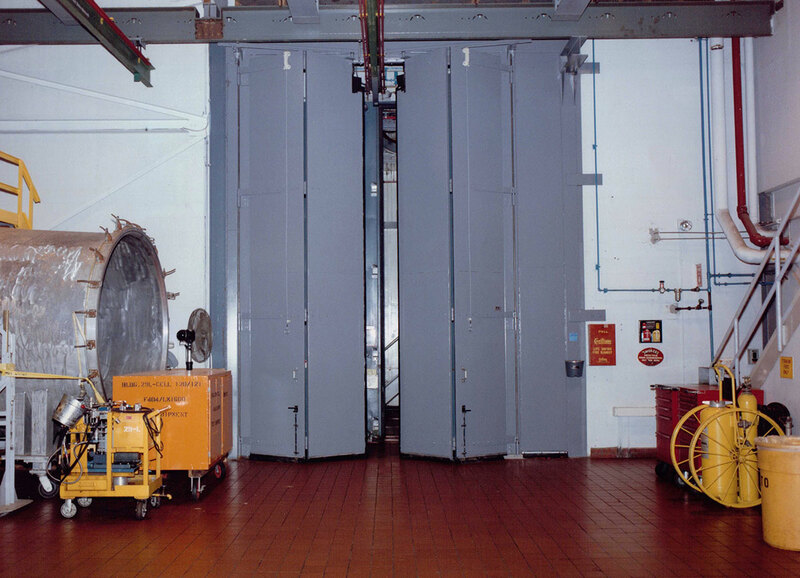 Crane-way, sliding, vertical lift and other over-size doors are also available. 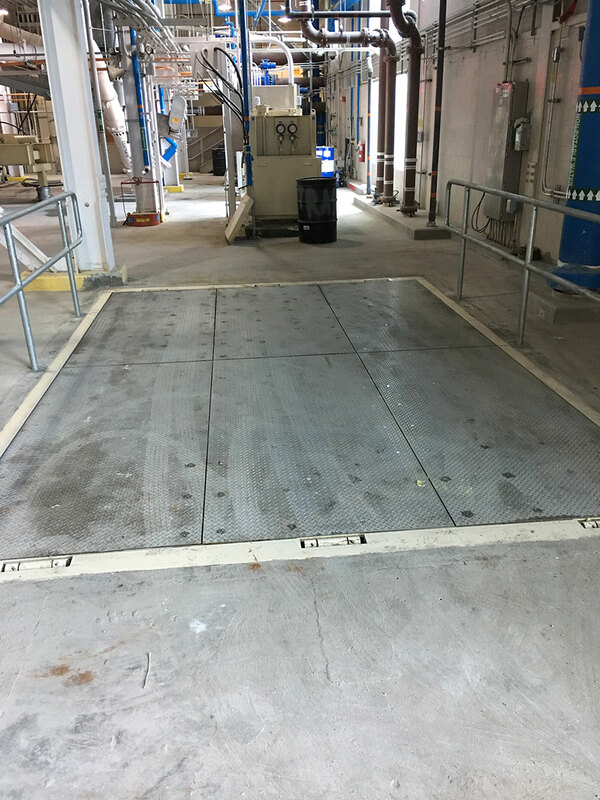 Vertical Lift Doors can be customized to close and seal around special applications such as conveyors for moving hazardous materials. Doors are also available for air lock applications. 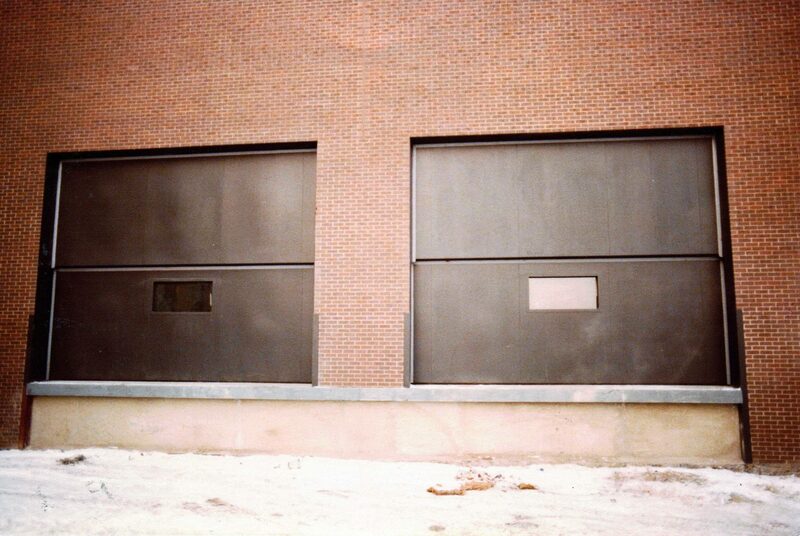 EPD Vertical Lift Doors. Metro Sewage Pig’s Eye Waste Treatment Plant St. Paul, Minnesota. Bi-Swing Waste Management Emille AL. Floor Hatch 2 Panel Swing Up NEORSD OH. Four Fold Model 39 (Monorail) Chlorine Treatment Plant. Top Hung Sliding 2 Leaf Bi-Parting with Monorail NEORSD OH. Vertical Lift with Vision Metropolitan Treatment Plant MN.